You are here: Home / Adventure / What is Water Rafting? What is Water rafting is a popular shorthand term for white water rafting? 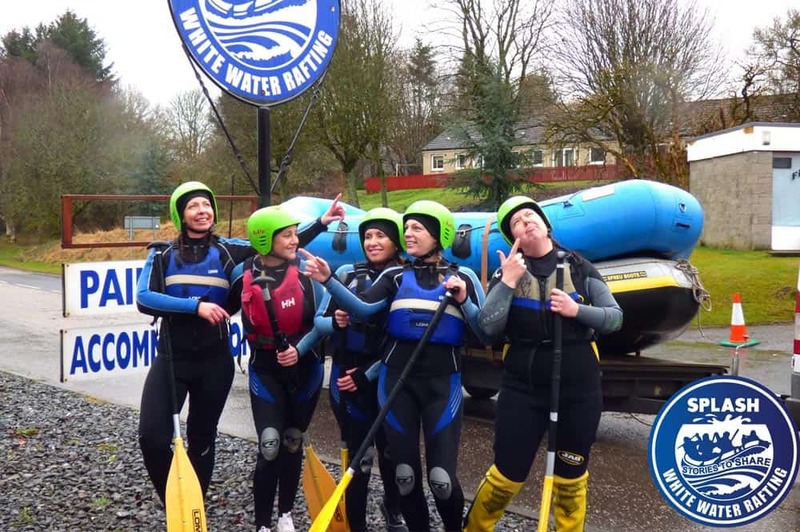 Water rafting or white water rafting is a sport and activity which sees a crew work in unison to navigate a river or artificial whitewater course. This article will give you information about white water rafting. The raft is in its simplest form a large inflatable boat. They come in a variety of sizes from 4 men to 18 men, at Splash White Water Rafting we usually use 6 men, 8 man and 10 man rafts depending on the river being rafted. All modern rafts are made to be self-bailing meaning they never need bailing with a bucket when the water floods in (and the water is almost guaranteed to flood in). Rafts are also engineered to be extra durable allowing them to tackle everything the river throws at them. In sports rafting the crew is a single team, they work in unison to manoeuvre the boat. Each of these crew members is usually a highly skilled water rafting expert/enthusiast. Each crew member can read the river allowing them to autonomously work as a team. This allows them to navigate the river rapids without a guide. In commercial water rafting trips, the crew is usually experiencing water rafting for the first time and require an experienced guide or captain who drives the boat. The crew works together to fulfil the commands shouted out by the guide. In this analogy, if the guide is the driver then the crew is the engine. The guide’s job is all about Safety. Their job is to instruct their crew covering a whole range of safety drills for in the boat and in the river, including things like white water swimming, various paddling strokes, and commands. The guide is responsible for reading the river up ahead and determining the best route through the rapids, their experience is crucial to a fun, exciting yet safe water rafting experience. Water rafting guides are a unique breed and almost always have a quirky and fun personality. Water rafting equipment for the client includes buoyancy aids, wetsuits, helmets, and a paddle. For the guide, it includes the raft, throw rope, communication device, whistle, river knife, whitewater buoyancy aid, first aid kit and a large guide paddle for extra leverage. Also known as river reading is a skill that takes a lot of practice. The river has many features (water volume, vertical descent, obstacles, debris, rocks, undercut rocks, strainers, holes, waves and more) which form rapids. River rafting has rapids that are graded from 1 to 6. Where 1 is low risk and 6 is high risk. The guide’s job is to navigate the river, steering clear of dangers whilst catching all of the fun features that make river rafting so much fun. The artificial course brings a new dynamic to river rafting as it is technically no longer “ river” rafting. These courses are fully under control, with a technician determining the water flow rate. This style, of course, uses a lego style block which can be manipulated to create different water features. This is used to simulate different styles of natural rapid. Artificial courses are almost always more accessible than backcountry rivers, located in major cities like Glasgow’s artificial white water course. In conclusion, there are a number of factors that go into River Rafting and all depend on what your objectives are. 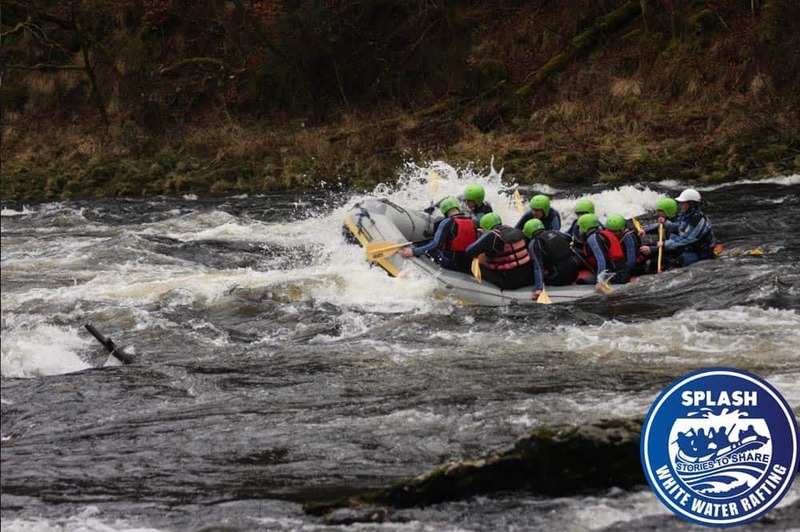 However for someone on a birthday party, stag do, or just looking for a fun adventure day for the family then rafting with a reputable company like Splash with over twenty years of experience is the way forward. During the trip, we take care of everything that is needed for a successful trip including safety, instruction and equipment. This allows the client can dive straight in and have an amazing adventure experience River Rafting. Rafting is an experience that sees many of our clients come back time and time again.